Karamba was founded more than a decade ago. Back in 2005, Karamba started out as a scratchcard site which offered the instant win games provided by NeoGames. During the last few years Karamba have made an impressive journey and bloomed out as a fantastic online casino and sports book that offers a great set of casino games provided by NetEnt, Microgaming, Bally, Williams Interactive, NextGen Gaming, Quickspins, Aristocrat, Amaya and Cryptologic (former Wagerlogic). In August 2016, Karamba introduced the Live Casino games powered by Evolution Gaming, one of the most popular games provider with their superb immersive live roulette. Karamba still offers the very popular scratch card games from NeoGames. Karamba is fully supported on all digital devices and operating systems. The game lobby is presented with hundreds of casino games in a classic grid pattern. Players are able to sort the lobby by game type such as Video Slots, Classic Slots, Casino Games (table/card/video poker games), Virtual Sports and New Games. There is also a search function in the game lobby where players quickly can locate the games simply by entering the game title. The customer support at Karamba is available every day between 06:00 to 23:00 GMT. The helpdesk can be reached by using e-mail or the live chat function which is located on the right side of the screen. The support staff is known for being very quick and accurate in resolving player enquirers. Karamba is available in English, Finnish, French, German, Norwegian and Swedish. Karamba is operated by Aspire Global International LTD and AG Communications Limited (UK). They are licensed by the UK Gambling Commission and the Malta Gaming Authority. Karamba meets the highest standards of player safety, fairness and responsible gaming policies. Karamba Welcome Bonus: Get a Welcome Bonus Package worth up to £/€200 + 100 Extra Spins! 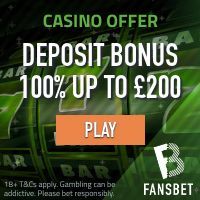 1st deposit (Day 1): 100% deposit match up to £/€200 + 20 Spins! 2nd deposit (Day 2): Get 40 Extra Spins! 3rd deposit (Day 3): Get 40 Extra Spins + EXTRA BONUS SURPRISE! The minimum deposit for all bonuses in this welcome bonus package is £/€10. Winnings from the extra spins and the deposit match bonus are subject to a wagering requirement of x35. Click here and join Karamba and enjoy your Welcome Bonus Package! Karamaba offer a large number of casino and sports betting promotions. Some of these extra promos are available during a certain time period while other are constant. The casino promotions includes Raffle Races where players can participate and win cool gadgets like iPhones, Apple Watches and real cash, Re-load Bonuses and Loyalty Rewards. There are also some nice sports betting bonuses such as Acca Boost, Live Betting promos and Free Bet bonuses. Karamba offer a large number of different payment method that players can use. Among these are credit/debit cards like Visa, Mastercard, Maestro, e-wallets such as Neteller, Skrill and direct bank transfers including Sofort, Trustly and several regional bank transfer solutions. All transactions and other stored information is secured by the most advanced encryption technology available. Popular Online Video Slots at Karamba! Karamba house several hundred top-quality video slots provided by the best vendors in the industry such as BetEnt, Microgaming, Bally, NextGen Gaming, Aristocrat, Quickspin and Amaya. Some of the most popular video slots at the moment are Starburst, Book of Dead, Gonzo’s Quest, Thunderstruck 2, Reel Talent, Coins of Egypt and Berry Burst. Belgium, Italy, Malta, Spain, Portugal, France, Hungary, Lithuania, Argentina, Indonesia, Bangladesh, Georgia, Ukraine, Singapore, Brazil and Azerbaijan, USA.